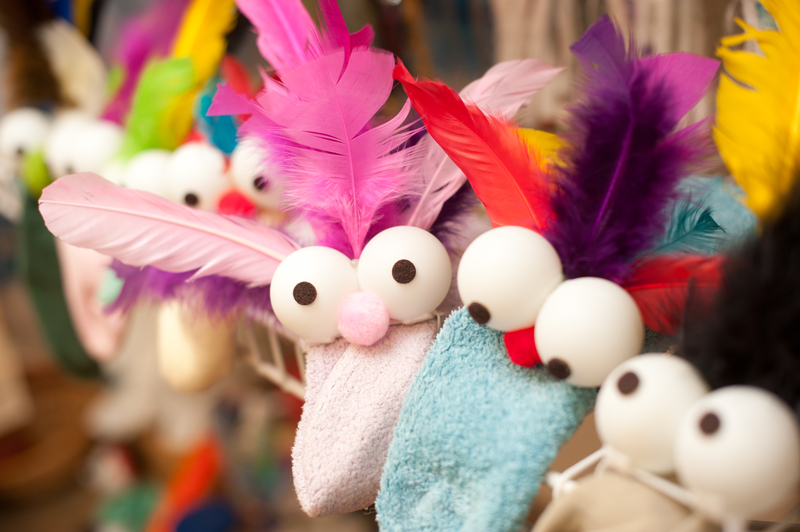 Make sock puppets for the children at Golisano Children’s Hospital. Local artist Robert Rogalski will be at the Central Library from 1:00 PM to 3:00 PM on Saturday, April 20 teaching us how to create fun puppets with socks, felt, foam, pipe cleaners, and ping pong eyes." If you want to make them at home, instructions will be available at https://roccitylibrary.org/spotlight/craft-it-forward/. We will be accepting donations until July 6, 2019. A hospital stay, especially for a child, can be a frightening experience. The team at Golisano Children's Hospital is committed to helping children and their families know what to expect and how to get the assistance they need. Robert Rogalski was born near Rochester, were his vivid imagination turned the rural land around his family home into an enchanted world. He attended the Art Institute of Pittsburgh PA. Robert has taught art to inner city school children and has designed puppets and exhibits for Renaissance festivals, store fronts, theatrical events, and dance companies. For more information, please call the Art and Literature Division at 585-428-8380. This program is for ages 16 and older. Registration is required. Please be on time. If you are more than 15 minutes late, you will not be allowed to attend the class.